The latest 'GoT' intro by YouTuber Robin Lindqvist is getting some very enthusiastic comments on his channel. The "Game of Thrones" intro got the "True Detective" treatment and the result is pleasing fans. Robin Lindqvist, an extremely talented YouTuber, recently published his latest artwork after his "GOT" intros in "Battlestar Galactica" and "Band of Brothers" styles (you can take a look at these videos at the bottom of this article). This time I think he really outdid himself. 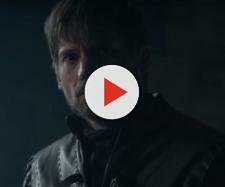 In a few days, Robin Lindqvist's video gathered almost one hundred enthusiastic comments from "Game of Thrones" fans spread all over the world ("Truly amazing," "Insanely beautiful & unique," "Absurdly good," "Absolutely perfect," "Pure gold" and so on), fueling, in the meanwhile, some nice discussions on Reddit. The first season of "True Detective," featuring Matthew McConaughey and Woody Harrelson, was considered the "most compelling series on television," The Atlantic wrote at the time. (But the second season of the show was a disappointment for most of the fans). The third season of the HBO' show will air in 2019, just like the long-awaited last season of "Game of Thrones." "True Detective" wasn't only a compelling drama, it also had a game-changing opening theme that influenced a lot of the most recent TV Series' intros. So here's Lindqvist's mixed "Game of Thrones" and "True Detective" intro. My favourite scene? The Stark's banner falling on Theon's face, a picture that perfectly represents Theon's conflicted nature as an Ironborn grown up by the Starks. For those who don't know, "Battlestar Galactica" (2004) is a critically acclaimed science fiction TV series set in a distant star system, where a civilization of humans lives on a group of planets known as the Twelve Colonies. And here's the "Game of Thrones" intro in "Band of Brothers" style. For those who don't know, "Band of Brothers" is an American war drama miniseries that won several awards, including Emmys (Outstanding Miniseries) and Golden Globes (Best Miniseries). When will 'Game of Thrones' season 8 air? "Game of Thrones" season 8, as most of the fans already know, isn't going to be aired this year. The next season of the TV series, which will consist of 6 episodes, will probably premiere in Spring 2019, according to Den of Geek.